The story of one little pig and lots of hats! Hamilton the Pig is very fond of hats - big hats, small hats, tall hats and suitable-for-every-and-any-occasion sort of hats. 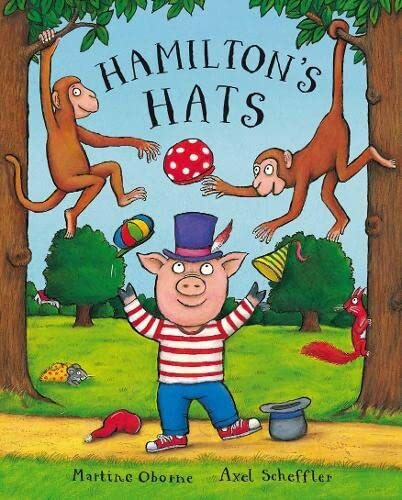 Hamilton loves hats so much his mum starts to worry that he's a very vain little pig. Little does she know that Hamilton's favourite hats will teach him some very important lessons! Hamilton's Hats by Martine Oborne is a wonderfully funny tale, illustrated by Axel Scheffler, the award-winning creator of The Gruffalo.